Earlier this week, the US House Science, Space and Technology Committee held a hearing on asteroid defense. With the Russian asteroid strike fresh in the public's mind, it was a good time to discuss how prepared we are for the next incoming space rock. The Silicon Valley-based B612 Foundation’s plan to send an asteroid-hunting space telescope called the Sentinel into space in July 2018 would solve that problem, [NASA planetary scientist James] Green told the senators. "We have discovered 10,000 near-Earth asteroids thus far.... Sentinel will discover roughly that number every two weeks," said B612 chair Ed Lu, a former astronaut and another witness on the panel. John Holdren said the best way to detect objects that might be on a collision course with Earth would be to put an infrared-sensing telescope in a Venus-like orbit. Holdren estimated the cost of such a telescope to be between $500 million and $750 million. Another costly and time-intensive undertaking would be mounting a mission to divert a threatening object after detection. NASA’s hunt for threatening asteroids will be affected by federal sequestration cuts, and at present funding levels NASA estimates it will take nearly 20 years to identify all potentially threatening Near Earth Objects. One solution that all lawmakers seemed amenable to was crowdsourcing, that is, working with other countries and amateur astronomers to crowdsource the hunt for threatening asteroids. Members of the committee agreed that it was unlikely we'd suffer a major calamity from an asteroid strike any time soon. 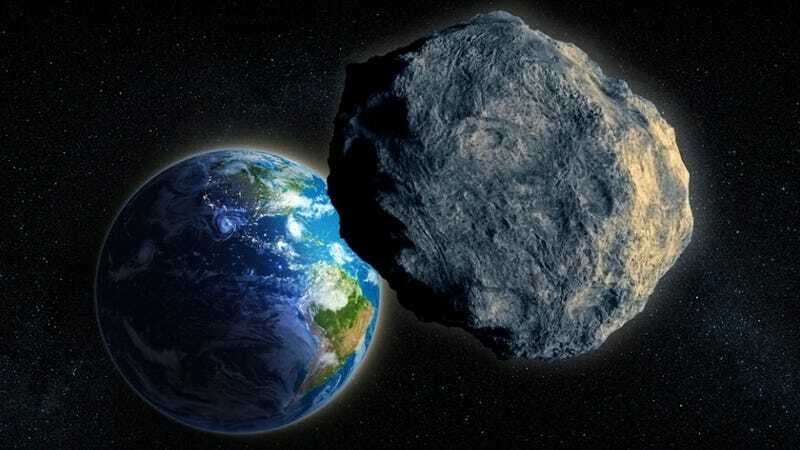 But by the same token, the damage from one would be so extreme (including mass extinction), that it's crucial that we organize a global effort to find and stop asteroids from colliding with Earth.